« Ainsley’s first gymnastics class. School shopping at the Lake Casa. 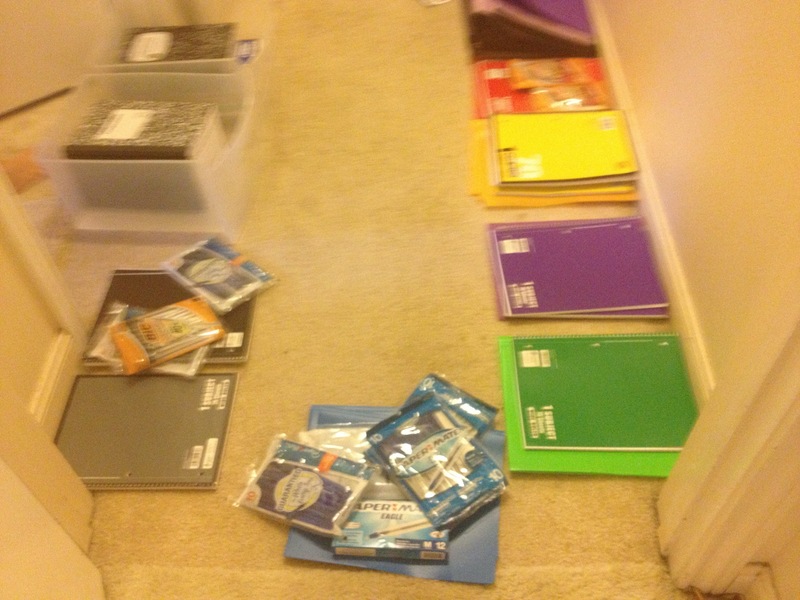 So we lined the hallway with all of the school supplies that I had purchased over the last few months. Madie organized them. Then we went shopping. 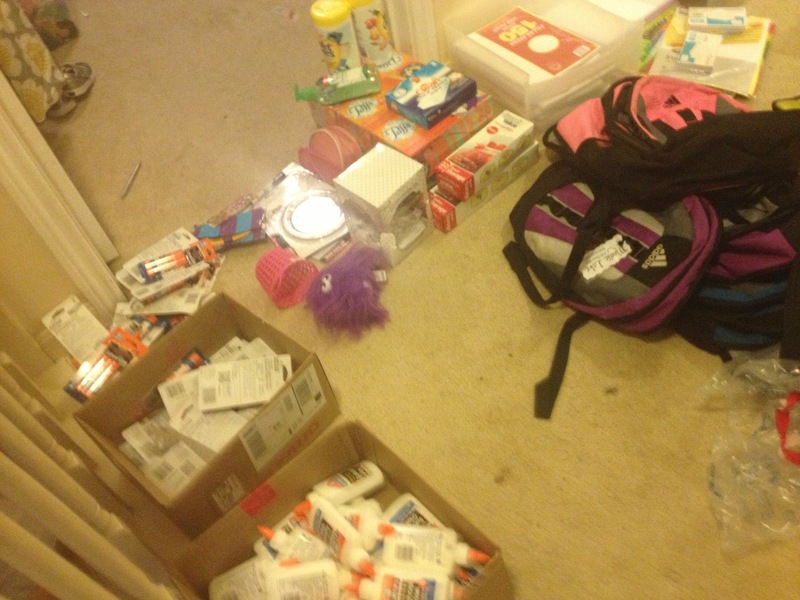 It is an annual event that the kids come upstairs in the hallway outside my craft closet (where I keep all of the supplies) to then pick out everything that they want for school. Most of the time they don’t even get to go with me to the store, so this is the first time that they get to look at it. They love doing it! And this year I managed to get everything put together several days before we needed it! So there wasn’t a rush the night before to make sure that they had everything on the list!